** The history of the Second Baptist Church of Doylestown dates back over a period of 104 years, having its ** roots in the St. Mark C.M.E Church, Doylestown, PA. Records show that this church, also known as the ** "People's Colored Church of Doylestown," was chartered on April 29th 1874.Trustees of this church ** purchased a building on Ashland Street, by the railroad tracks in Doylestown, from Abraham Geil on ** October 1st, 1887, and recorded this transaction at Doylestown in the Office for the Recording of Deeds in **and for the County of Bucks on the 29th day of November 1887 in Deed Book 228, page 26. This deed was **granted and conveyed to John D. Mitchell, James K. Morris, Perry Brown, Levi Nelson, and John E. Parker, trustees of a place of worship called St. Mark's C.M.E. Church. On September 26, 1907, the St. Mark C.M.E. Church, apparently changing denominational affiliations, was incorporated under the present name of the Second Baptist Church of Doylestown. This incorporation was recorded in Doylestown, Bucks County in Miscellaneous Book 37, page 110. This date marks the official beginning of the Second Baptist Church as it is known today. 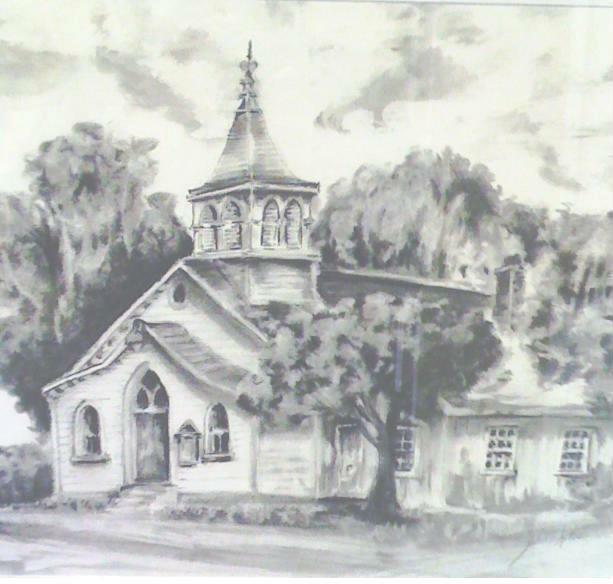 The church remained at Ashland Street, Doylestown Borough, Pa., until a building of worship, located at Lafayette and Beck Avenues, Doylestown Borough, Bucks County, Pennsylvania was purchased. In 1924, the church moved to this new location and held services there for 49 years. On November 30th, 1973, Second Baptist Church purchased the building at 1109 N. Easton Road, Doylestown, Pa., after entering into an agreement with the Eastern District of the Christian and Missionary Alliance who financed this purchase. This property had previously belonged to the Doylestown Pennsylvania Congregation of Jehovah's Witnesses, Inc. This transaction is recorded in the Office for the Recording of Deeds, Bucks County in Deed Book 2030, page 1120. The mortgage on this property was paid in full in 1995. Rev. C. D. Manley, 1930 to 1933; Rev. Moss, 1934 to 1935; Rev. Brew, 1935 to 1937; Rev. Peal, 1937 to 1947; Rev. Jesse Roberts, 1948 to 1961; Rev. Henry W. Durham, 1963 to 1970; Rev. Henry Lewis, 1970 to 1970; Rev. James Taliferro, 1971 to 1976; Rev. Spencer Long, 1976 to 1991; Rev. Roland Hayes Anderson III, 1992 to 1994; and Rev. Robert E. Hamlin Sr., 1995 to the present. In November 1995, a call was extended to our present pastor, Rev. Robert E. Hamlin Sr. He was installed as the pastor of the Second Baptist Church of Doylestown on February 11, 1996. Since that time, Second Baptist has grown spiritually, numerically and financially. During Pastor Hamlin's tenure the following ministries of the church have been added: Youth Ministry, Greeter's Ministry, Mission's Ministry, Music Ministry, Children's Church, Lighthouse Newsletter Ministry, Married Couples Ministry, Men's Ministry, Nursery Ministry, Personal Touch Ministry, Women's Ministry, Liturgical Dance Ministry, Media Ministry, and Prison Ministry. Pastor Hamlin and the Church Officers realized that with the growth of the Church, there was a need for a new facility. In September 2001 Second Baptist kicked off the Building God's Way Stewardship Campaign. In December 2003, Second Baptist Church sold the building at 1109 N. Easton Road in Doylestown, and purchased a property of 7 and ½ acres at the corner of Route 313 and Stump Road in Plumsteadville, Pa. God's great love was demonstrated again as Christ Community Church of Plumsteadville, Pa. opened their doors to share their worship facility with Second Baptist while the new Second Baptist Church was being built. The congregation of Second Baptist began worshiping at Christ Community Church on Jan. 4, 2004. After a lengthy process with the township of Plumsteadville to obtain the necessary building approvals, the ground breaking ceremony for the new Second Baptist facility was held on Sunday, September 18th, 2005 with construction beginning on Oct. 3rd 2005. Through faith, obedience and guidance of the Holy Spirit, Second Baptist moved into the new edifice with a grand opening celebration on Saturday May 19, 2007. The first Sunday worship service in the new facility was held the next day on Sunday May 20th, 2007. Second Baptist is on the move Building God's Kingdom: Together. The church is blessed to have so much upon which to reflect. It is also blessed to have ancestors of the founders still serving with us, and carrying on the work which was started by their forefathers.